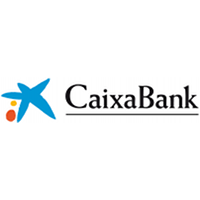 Profile: CaixaBank is the third largest financial institution in Spain and it is currently the leading force in Spanish retail banking. CaixaBank has a network of more than 5,000 branches, more than 9,500 ATMs, and a workforce of over 32,400 employees. CaixaBank has the largest customer base in Spain – 14 million people – and is the main bank for 1 in every 4 Spanish customers. CaixaBank was awarded the “Best Bank in Spain 2016” award for excellence by Euromoney and ”2016 Best Digital Retail Bank in Spain and Western Europe” (Global Finance). Moreover, CaixaBank prides itself in being able to maintain its status as the global leader in card payments and mobile financial services – to date, CaixaBank has rolled-out over 60,000 contactless POS terminals in Spain. Finally, the great achievement of inventing & installing over 600 contactless ATMs in Spain has crowned CaixaBank as being the only financial institution to have done so. The innovative effort inherent in the culture of CaixaBank to be a reference company in technology in the financial market, based on criteria of accessibility and usability. Similarly, technological innovation is one of the strengths of CaixaBank, constantly striving for the innovation, necessary for an organization in order to enhance the services it offers to its valuable customers along with the whole community in general. This is evident from the recent recognition for CaixaBank as becoming the world’s most innovative bank in 2013 (awarded by the Bank administration Institute and Finacle). In 2015 CaixaBank won the Oracle Excellence Award in Big Data, Business Analytics and Data Integration category.